Updated Friday May 4, 2018 by Matt Williams. 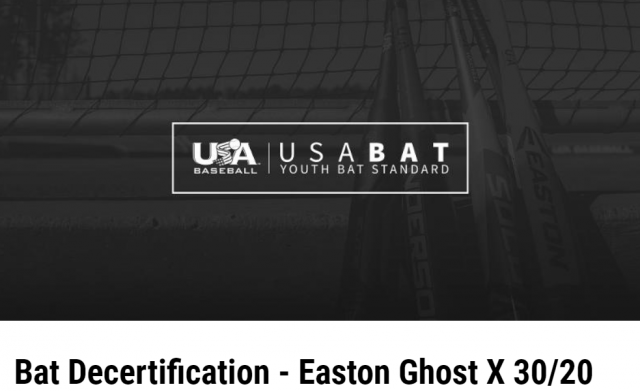 Effective immediately and until further notice, the Easton Ghost X 30/20 has been decertified by USA Baseball and are no longer approved for play in leagues that have adopted the USABat standard, including Cal Ripken Baseball. This is not coming from Cal Ripken or Babe Ruth, rather it is coming directly from USABASEBALL. Additional information can be found at the link below.